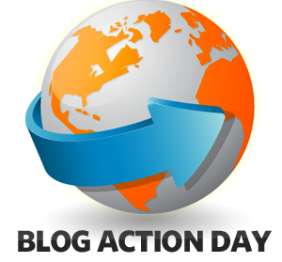 Today is Blog Action Day, an annual event of sorts where bloggers around the world try to work together by raising awareness about one cause or subject. It's an interesting exercise that I've done my best to participate in over the years and thankfully I have that chance again today. This year's theme is The Power of We, in reference to the ability of groups of like-minded individuals to come together for a single cause. While as individuals we don't seem to be able to do much, by working together we can achieve some very great things indeed. We've seen the success of such groups in different avenues. Locally our HIV / AIDS awareness efforts are kept alive through community involvement. I'm glad that there are quite a number of groups who have committed their time and effort towards dispelling many of the misconceptions about AIDS and to promote responsible action and overall wellness. We have also seen how the local community can come together for very important issues like the problems with RA 10175 - The Philippine Cybercrime Prevention Act and the threat it poses to freedom of speech. The formation of the Philippine Internet Freedom Alliance (PIFA) and the relative success of their Black Tuesday online protest really went a long way towards raising awareness about the issues with the bill. I don't think it's unfair to assume that PIFA's actions and the support of the community went a long way towards getting the TRO in place and to get lawmakers committed to at the very least amending the controversial law. The Philippines, of all countries, is no stranger to the power of collective action. We helped coin the term People Power in reference to peaceful revolutions in order to speak out against injustice. And while we don't always use this aspect of democracy well, but at the very least we know that people are always prepared to fight for causes that are important to them. It's really just a question of scale and relative importance. If anythings today should be a reminder that we should remain both responsible and vigilant with respect to what People Power is for. Sometimes we want to take to the streets for the smallest of things or we end up setting undue expectations of our government as a whole. It is amusing to me how a lot of the usual US political rhetoric argues about the relative size and importance of government in the day-to-day lives of citizens. Here we seems to constantly expect the government to solve almost all of our problems with little regard for where the funding will come from or just what they're asking of our politicians. People power and collective action in general is a powerful tool indeed. Just don't keep breaking the glass when things don't go your way - save for true emergencies that threaten the greater good. Beyond that, there are more conventional channels outside of outright revolutions that include many NGOs and other volunteer groups.